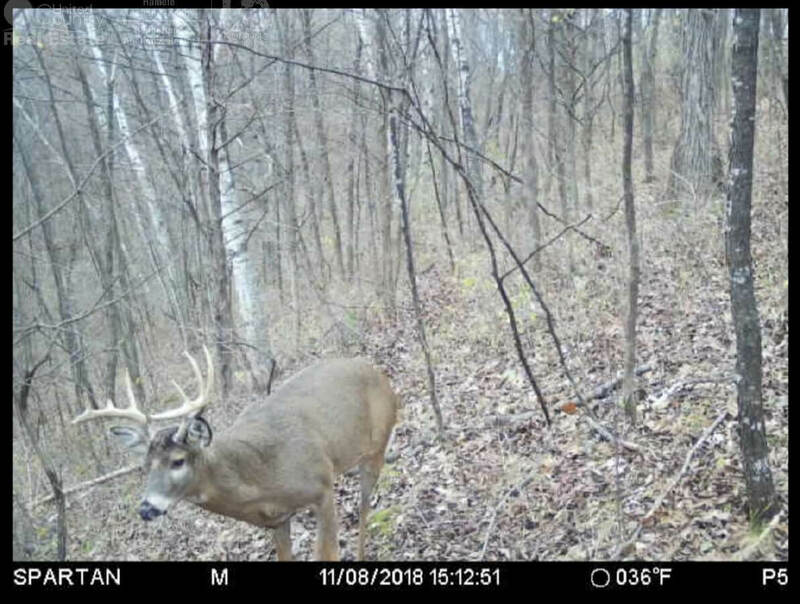 Have you been scouring the market in search of an exceptional tract of deer dirt located in the buck laden hills of Southwest Wisconsin? 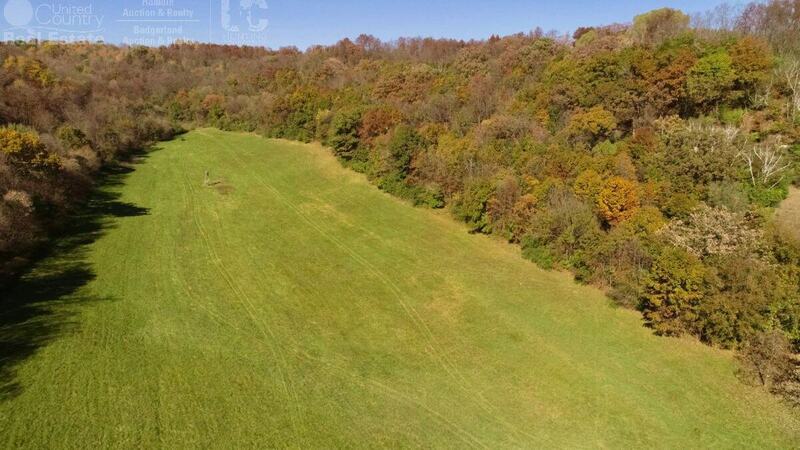 This wildly impressive big buck property is the focal point for those seeking a recreational escape, hunting paradise and affordable ground in a market that has extremely limited inventory. 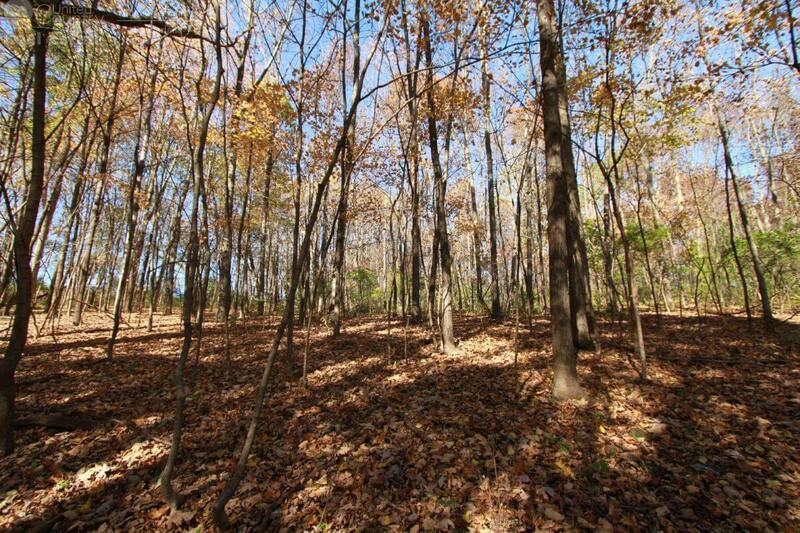 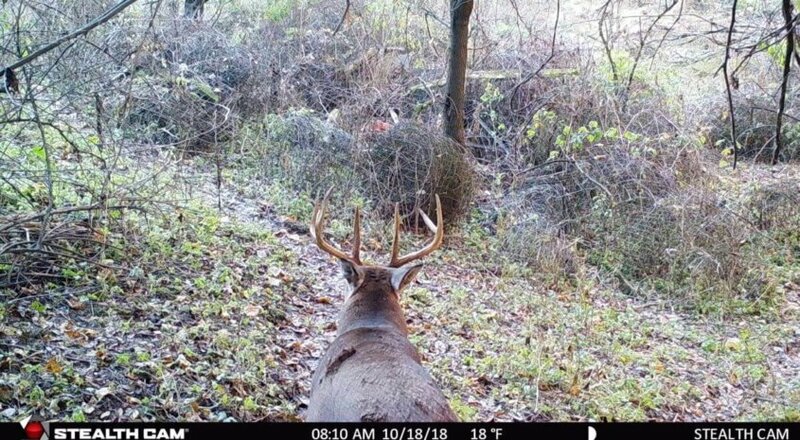 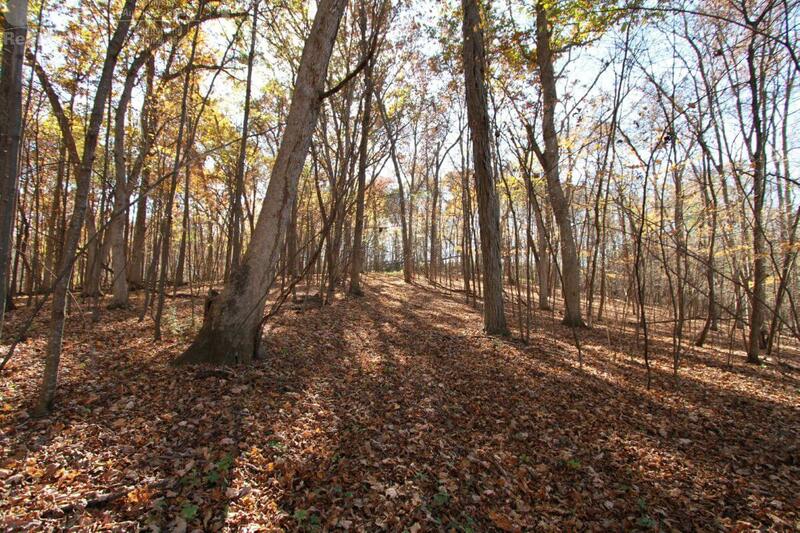 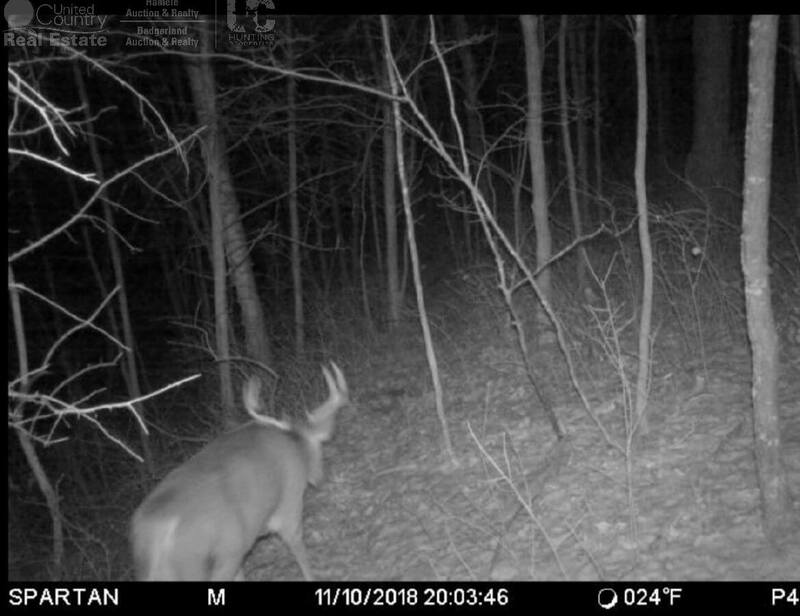 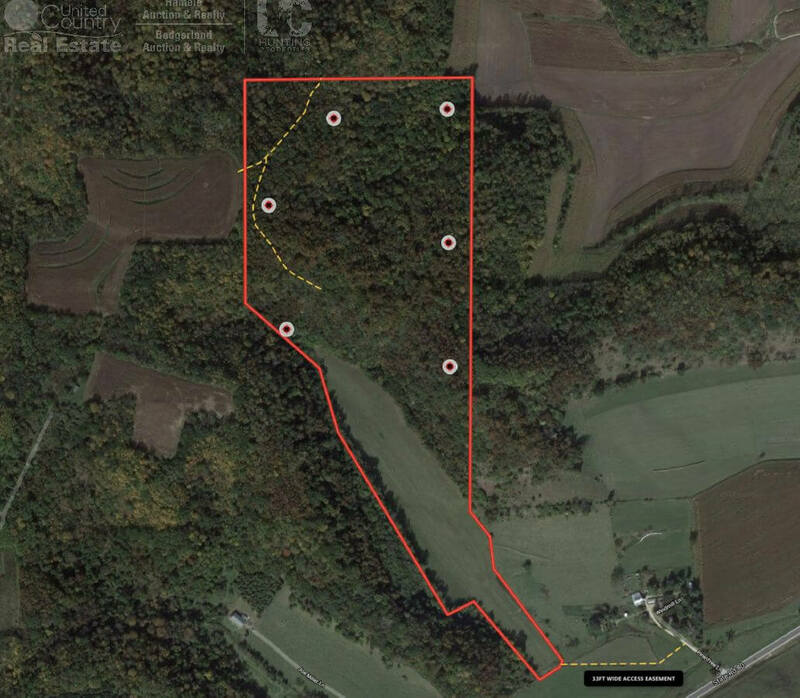 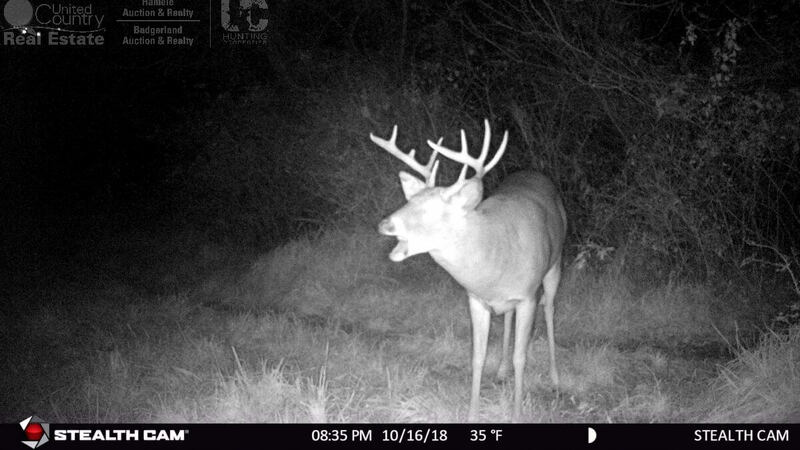 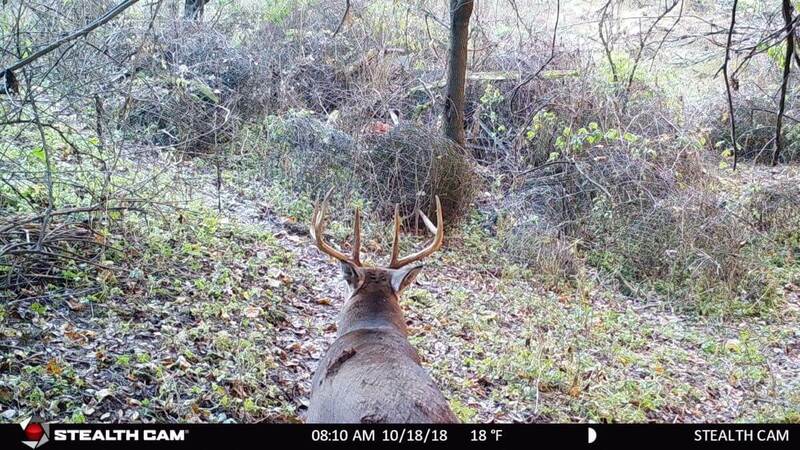 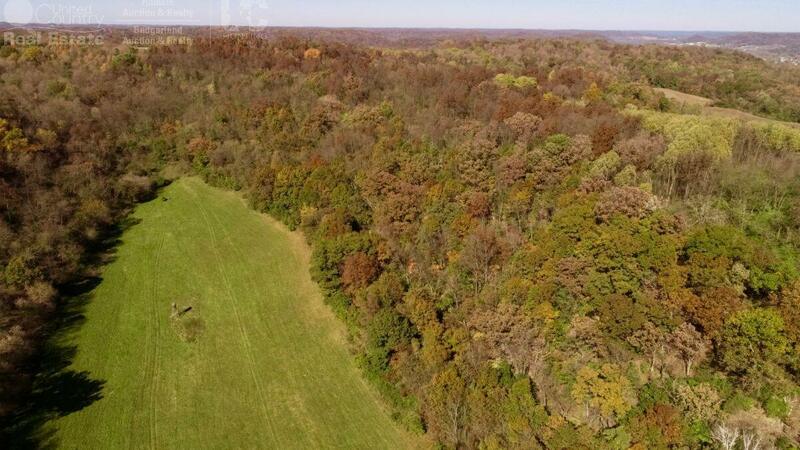 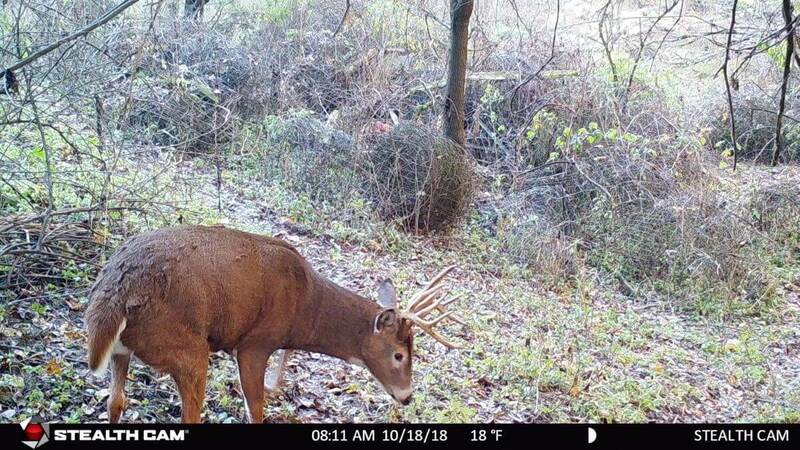 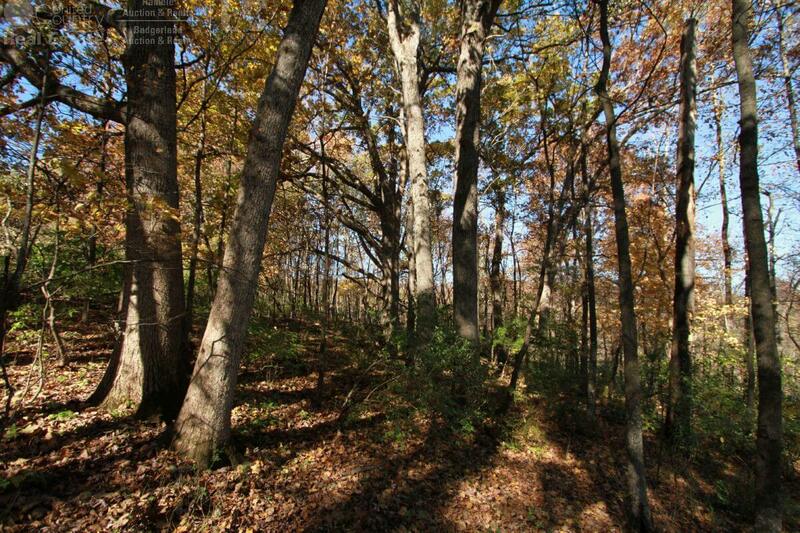 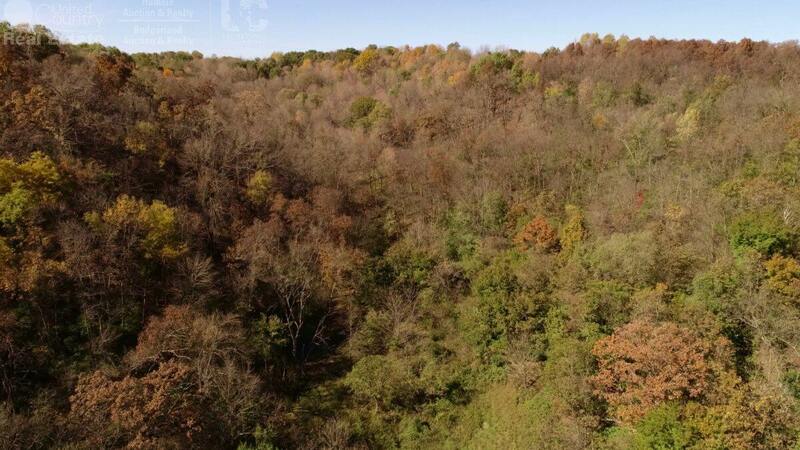 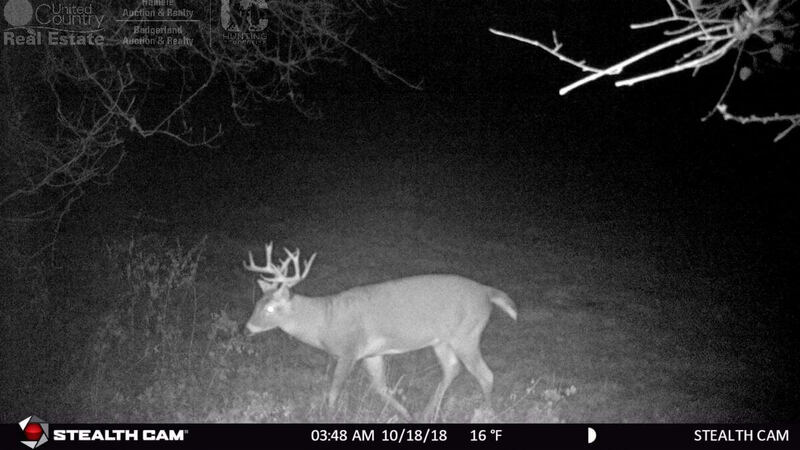 If you’re looking for a once in a lifetime tract that will produce quality whitetail deer surrounded by monstrous private land tracts, look no further. 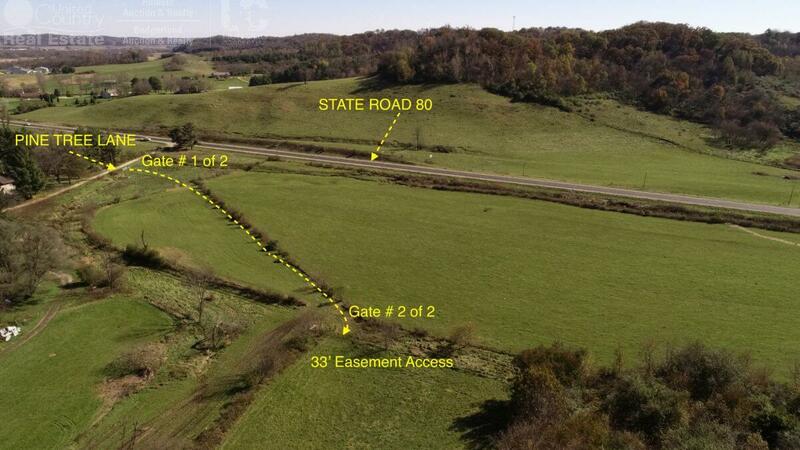 Here’s your chance to own some of the very best real estate the market offers. 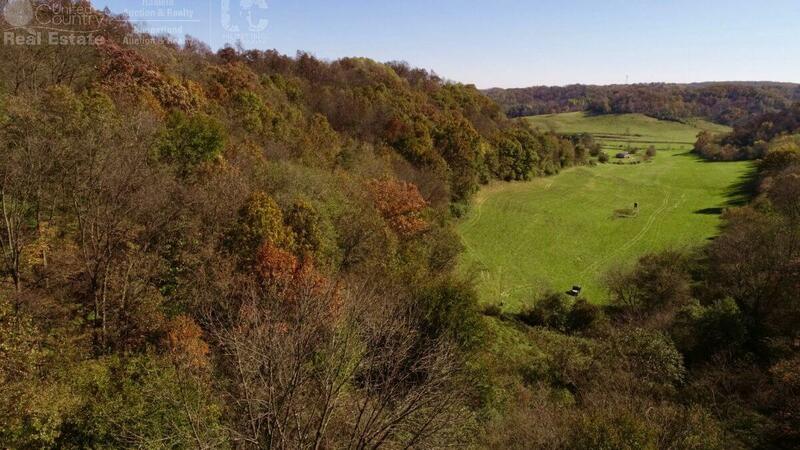 You’ll find this stunning estate off of HWY 80 by entering Pine Tree Lane, which is no more than 1.5-miles southwest of downtown Richland Center. 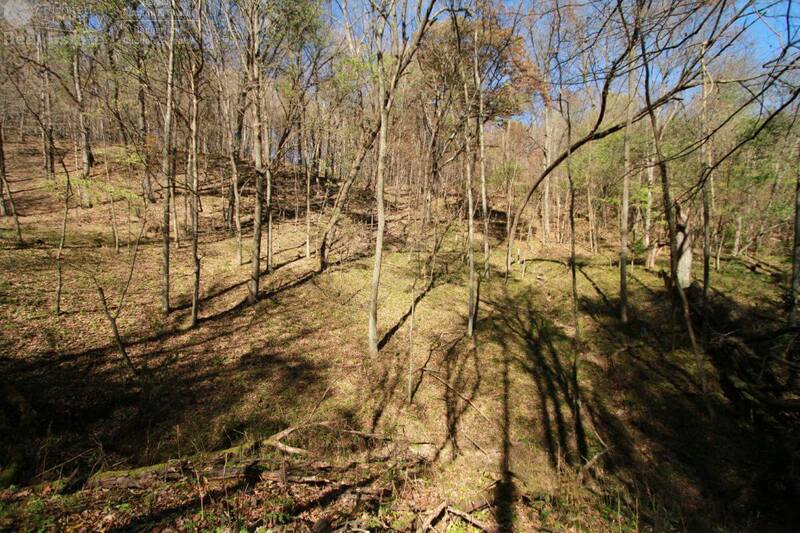 Access the land through an 800ft long 33ft Wide Easement that brings you into a secluded valley spotlighted by skyscraping ridges on both sides. 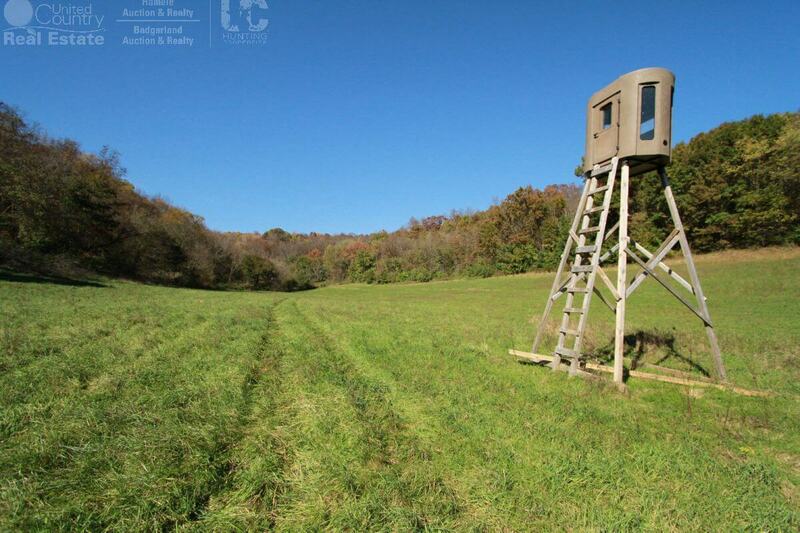 While this property may not be feasible for a permanent residence, one may consider pulling a camper on it or small cabin structure for hunting camp. 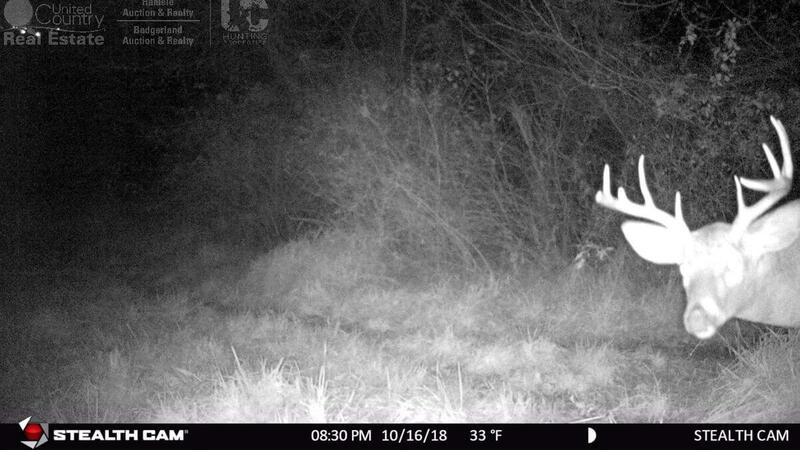 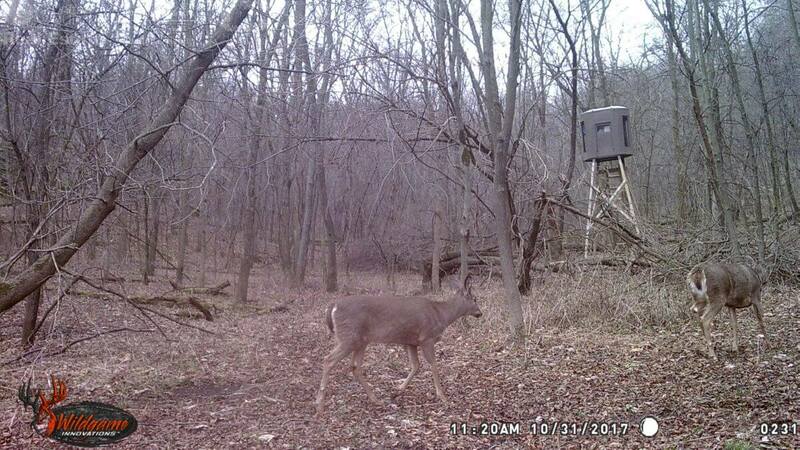 This property has some of the most deer sign that I’ve ever seen! 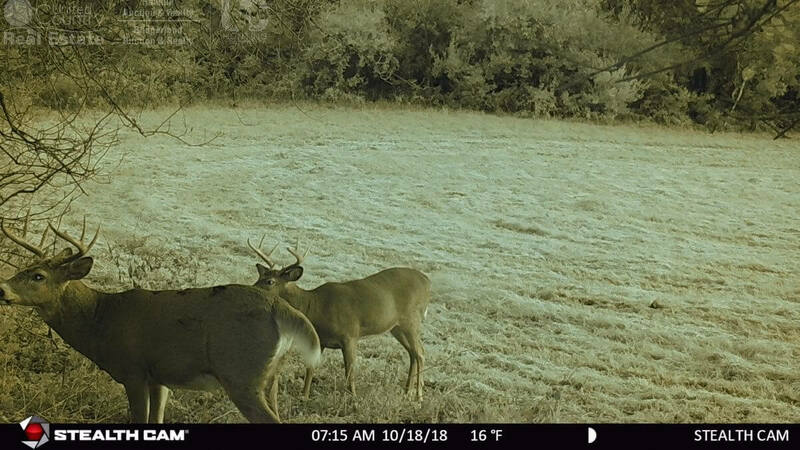 When I say countless rubs, I literally mean, countless rubs! 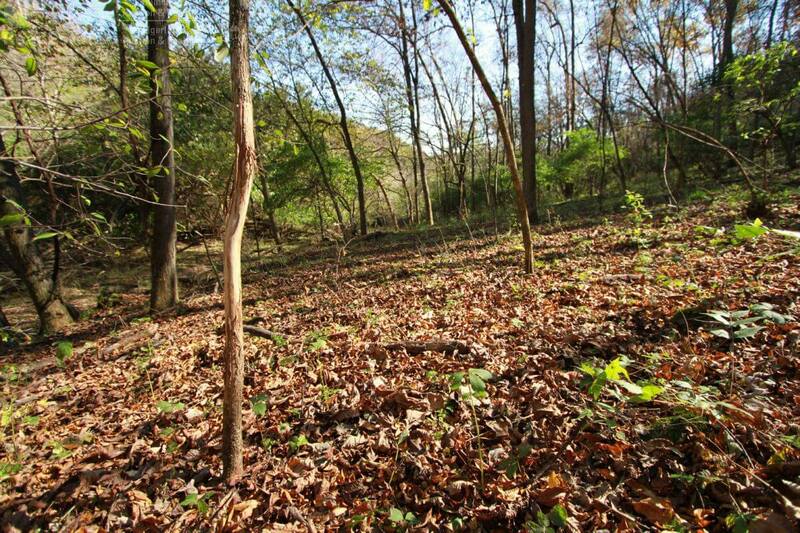 Deer trails are beaten into the dirt and the ground is speckled with scrapes all over. 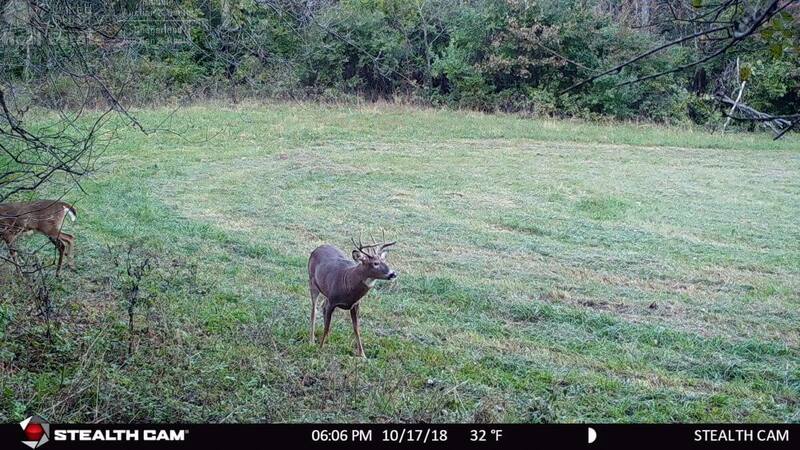 The buck sign is enough to give you goosebumps! 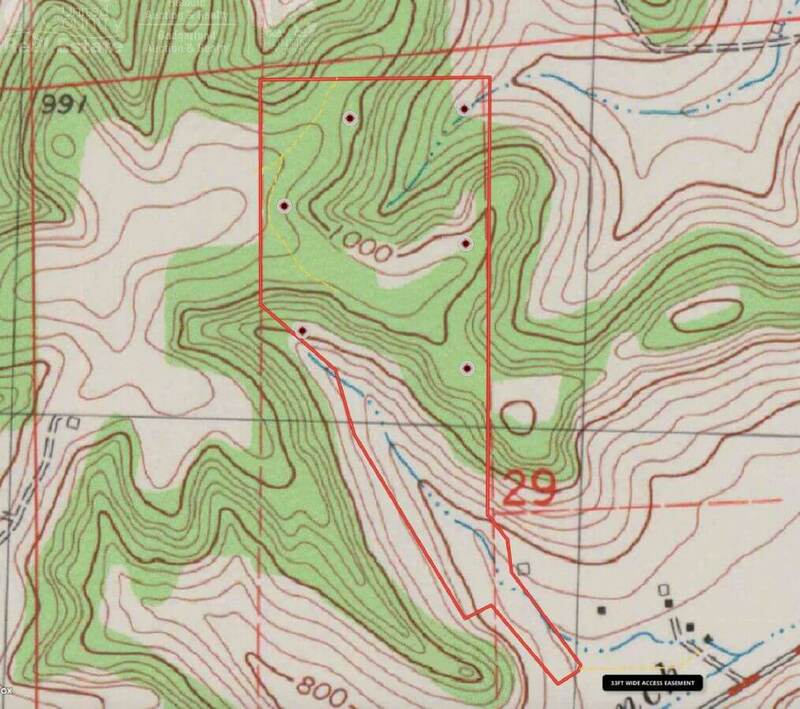 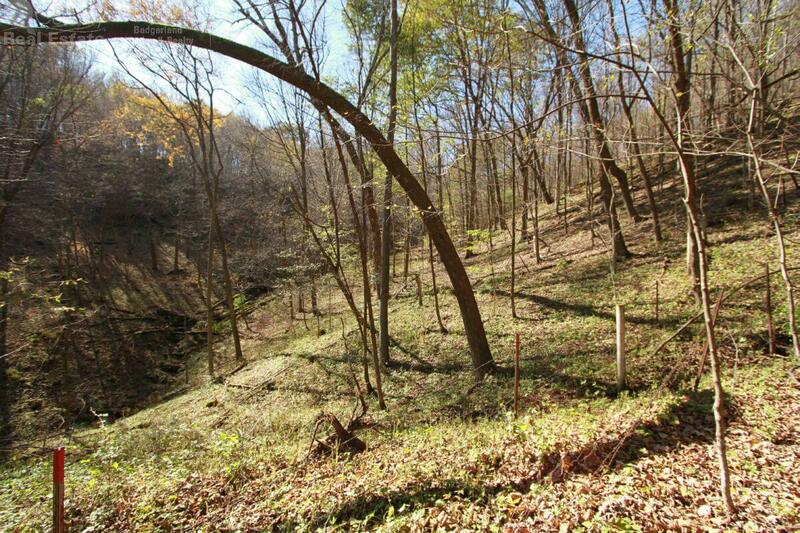 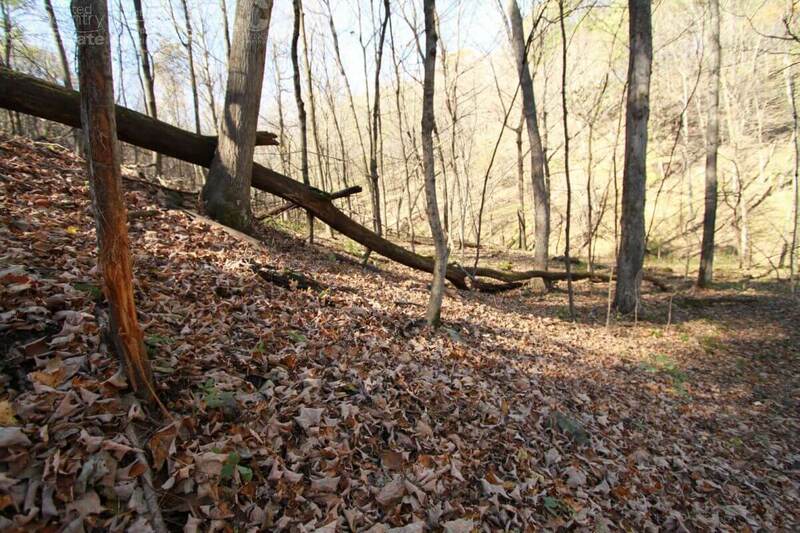 The land is composed of a beautiful ridge system that drops into two unique valleys that are setup with two towering Banks Blind Stump 4 stands. 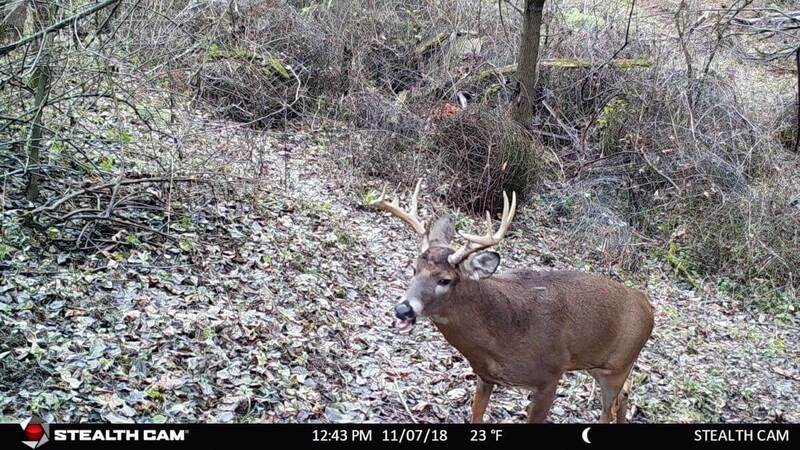 These premium box blinds retail for $3,600/a piece and offer both bowhunters and gun hunters the best of both worlds featuring roomy comfort as well as functional interior. 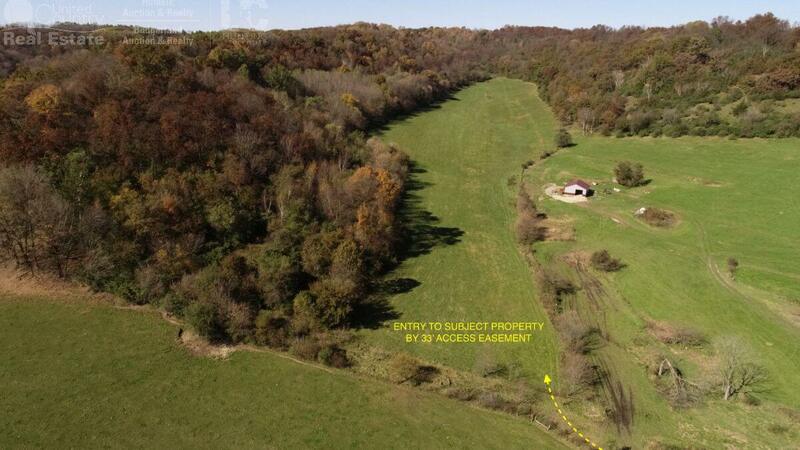 The main valley is 14+/- acres that’s currently being produced for grass hay. 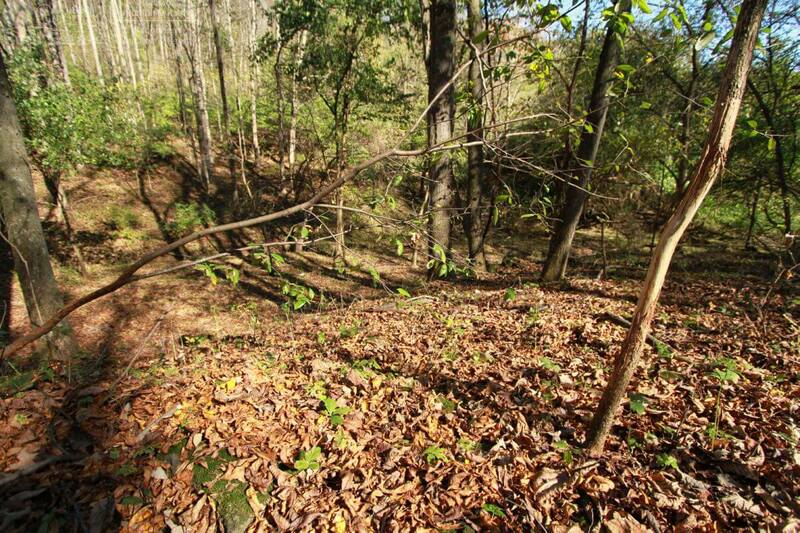 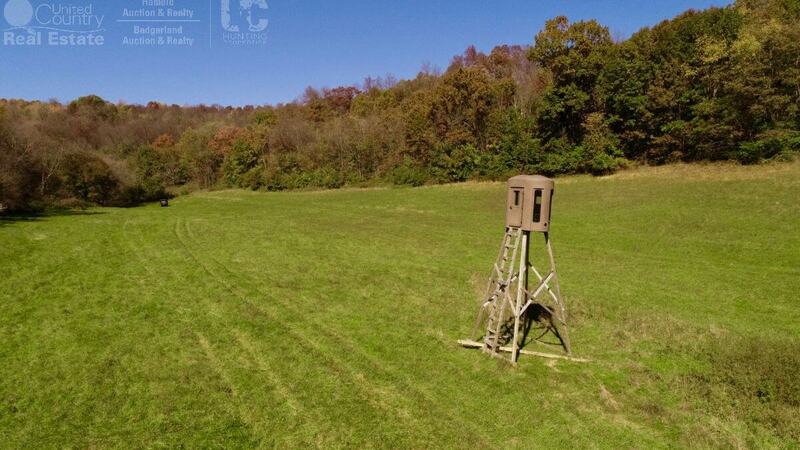 This can easily be setup into an expansive food plot or row cropped into production. 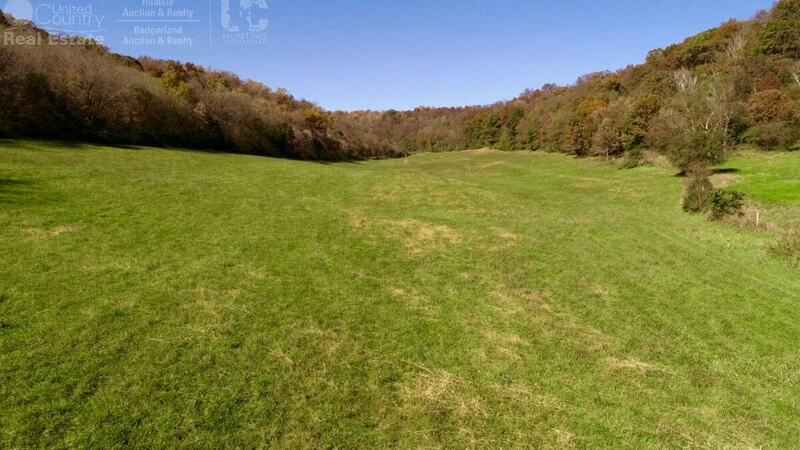 Many years ago, this land was pastured with cattle. 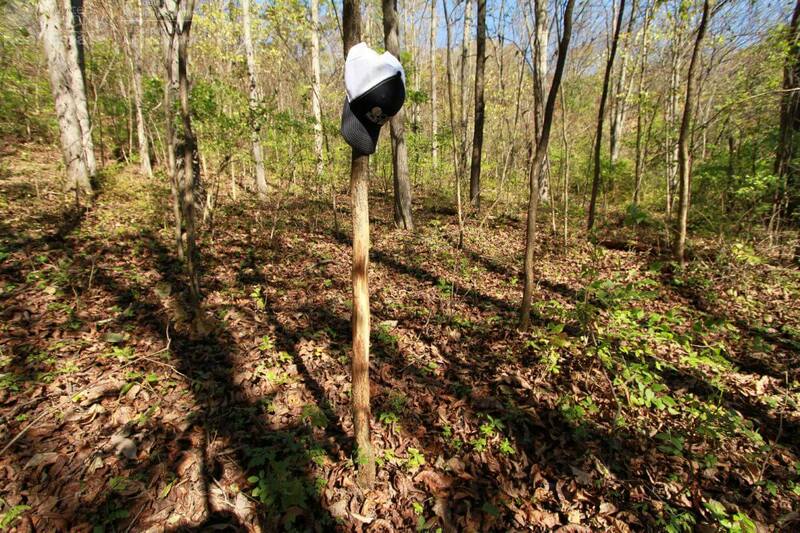 The remains are nothing more than extraordinary. 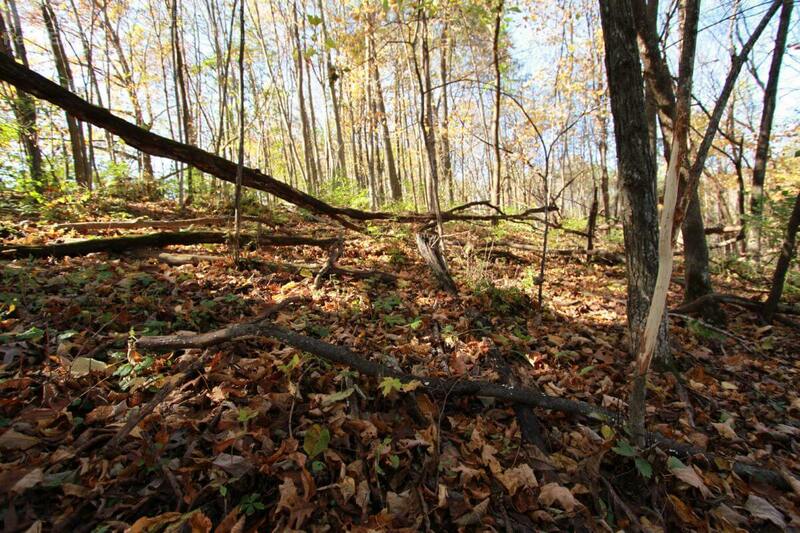 Thick brushy ridge stops drop into multiple benches that are wild bedding areas full of dense cover. 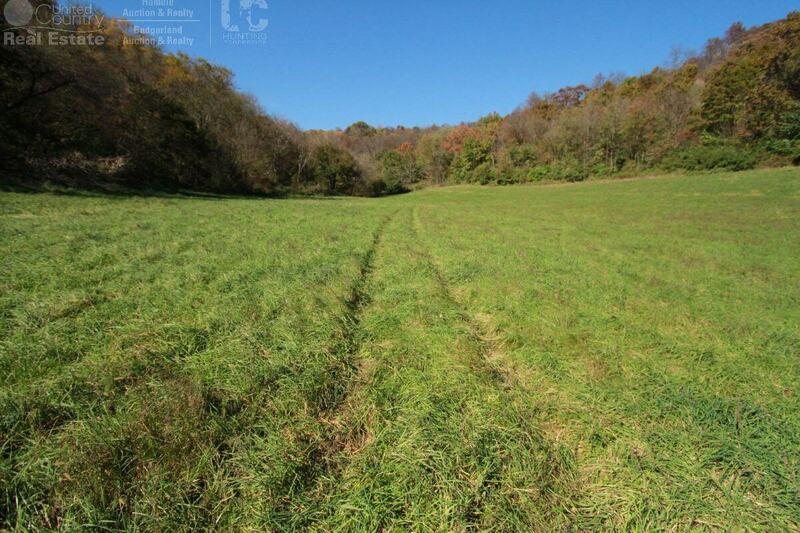 The surrounding land is composed of large agriculture fields, which provide numerous food options for wildlife. 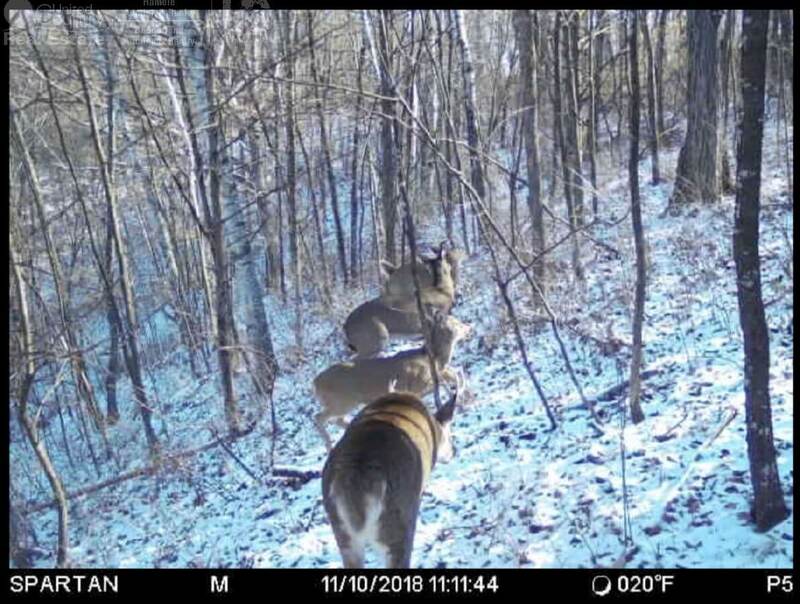 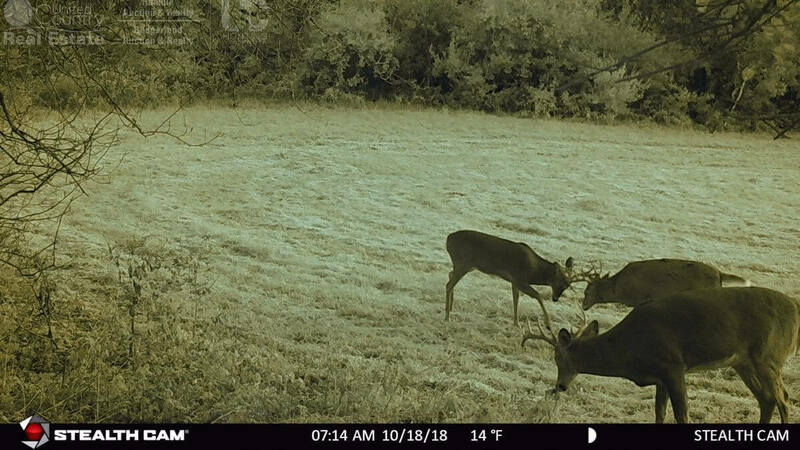 The neighborhood has a strong reputation of world-class whitetail hunting. 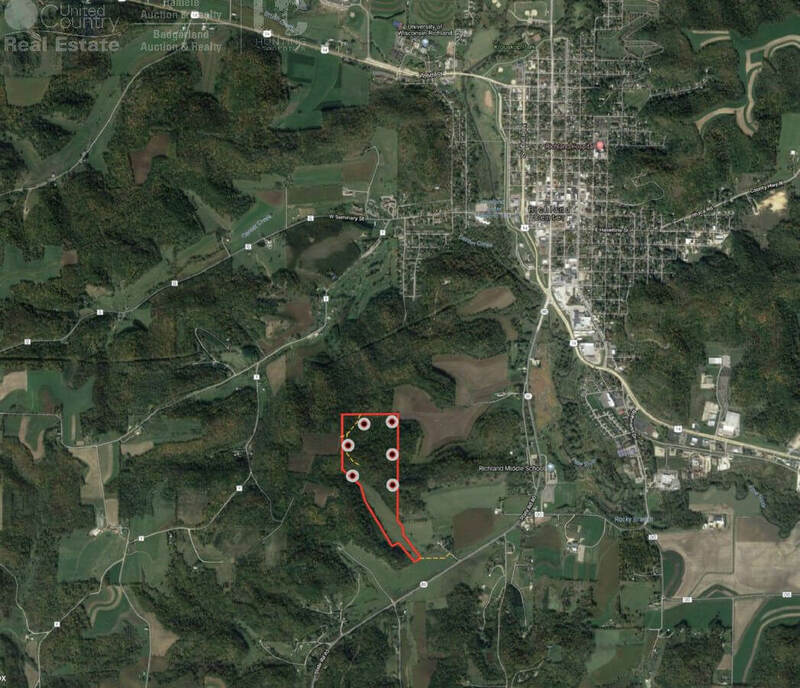 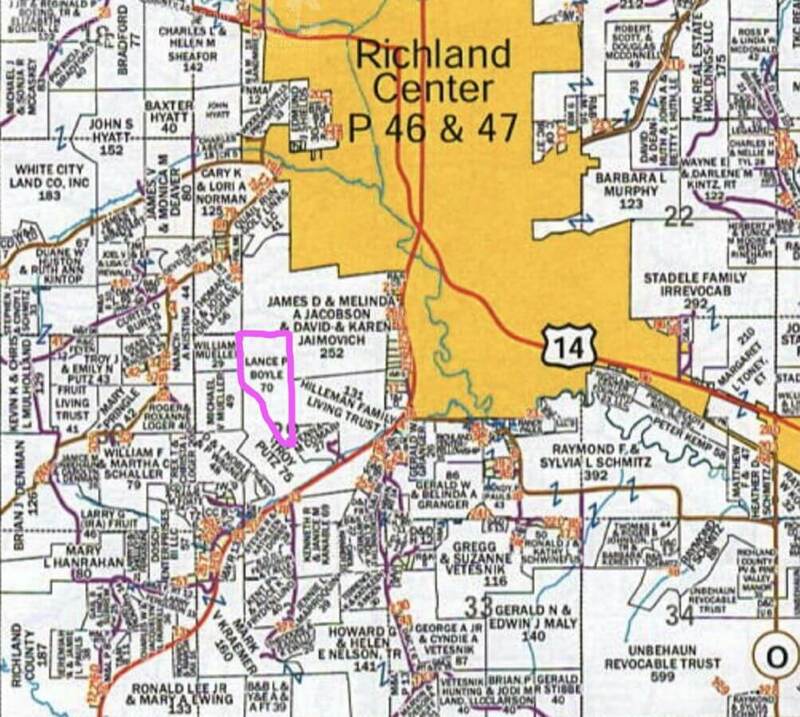 Much is a testament of large blocks of private land, including 252+/- acres of private land bordering the north line and 131+/- acres bordering the east line. 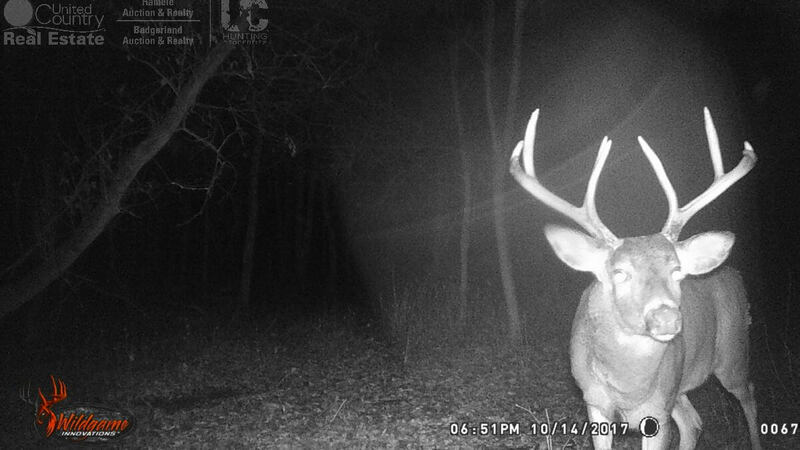 This is a major key to unlocking mature bucks – Large private landowners! 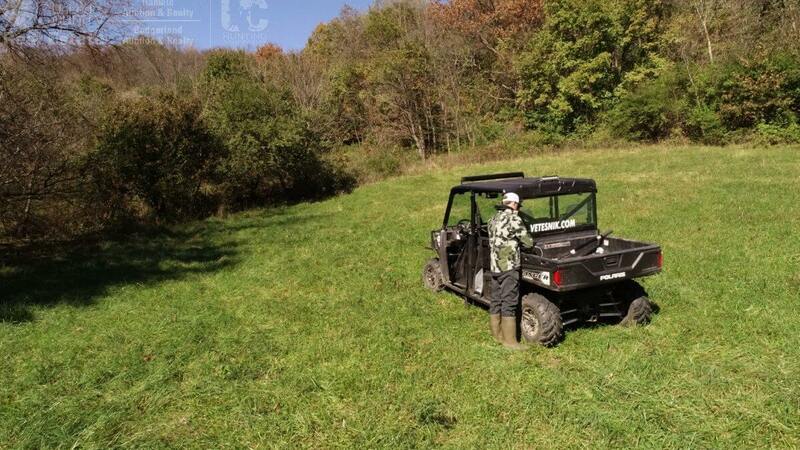 Taxes are under $1,300 and the land is NOT in any government programs.